Numerical methods are playing a more and more prominent role in many of the forefront fields of research: Quantum magnetism, Quantum liquids, Bose-Einstein condensates, Quantum Computing, cuprate and pnictide high-temperature superconductors, Particle Physics are a few example. In recent years, one has seen dramatic cross-fertilization between ab initio approaches and those developed for highly correlated systems or for quantum computing. New Path-Integral Quantum Monte Carlo techniques, Quantum Cluster Approaches (Dynamical Cluster Approximation, Cellular Dynamical Mean-Field Theory, Variational Cluster Approximation), are examples. Quantum information has brought new ideas that have lead to dramatic improvements in methods such as the Density Matrix Renormalization Group. It has also given birth to original approaches based on Projected Entangled pair States (PEPS) and on the Multi-scale Entanglement Renormalization Ansatz MERA). The serious student of theoretical physics cannot afford to ignore these methods and the physical insights they have brought. All students will be registered for this School as a three credit PhD level course with Université de Sherbrooke (there will be 45 hours of lecture, equivalent to a one-semester course). There are no fees for registration or tuition. Although the final list of speakers and topics remains to be determined, we expect that the list below provides a good preview of what is expected. 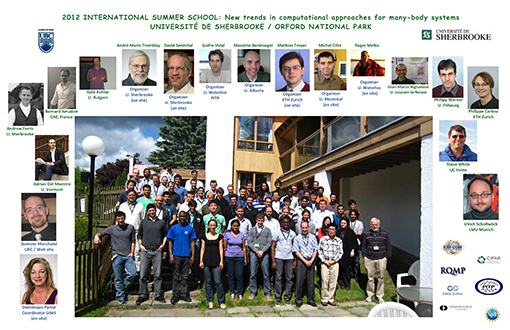 The 2008 summer school was highly appreciated in part because of the effort to coordinate speakers and topics such that they could be presented in a pedagogical manner. We intend to continue this tradition. This School should train the next generation of Researcher to use and develop tools that have become crucial to solve important problems that are intractable with standard analytical approaches. 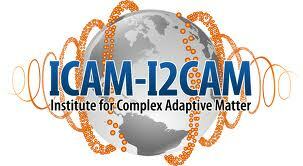 Many new avenues of research will be open to them. We also hope to teach a few “good practice” programming techniques that should be helpful to them in a broad range of job opportunities. Important contemporary research questions that could be settled with numerical methods include establishing quantitative phase diagrams for the Hubbard model on various lattices and treating multi-orbital models. The latter models are essential to understand the pnictide superconductors for example. Many of the numerical methods that will be discussed in this School are still in development or so recent that one may expect dramatic improvements and breakthroughs in the near future. Projected Entangled States and Multi-scale Entanglement Renormalization Ansatz, Worm algorithms and Quantum Cluster Methods are prime examples. This methodology is essential for treating cold atoms, pnictides, heavy fermions, high-Temperature Superconductivity, interfaces of complex oxides and many more problems. Methods that do not rely on translational invariance are also essential for quantitative treatments of cold atoms where the trapping potential is unavoidable.